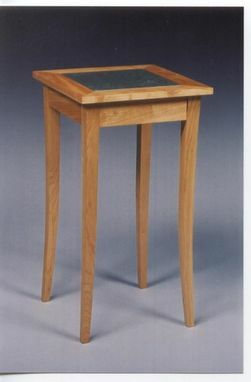 Cherry Occasional Table With Slate Top. 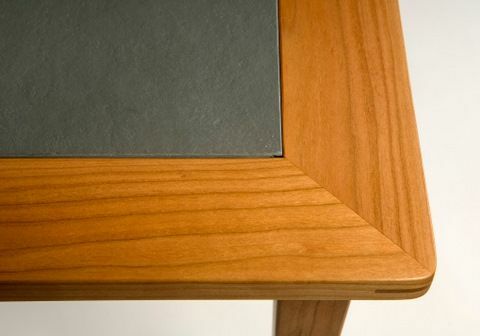 Cherry occasional table with natural Colorado slate top, and curved legs. 13w. x 17l. x 25 1/4"h.
Dimensions: 15 x 17 x 25 high.